WHETHER THIS IS A FAMILY VACATION, HONEYMOON, OR YOUR ANNUAL GET-OUT-OF-TOWN ADVENTURE, WE’D LIKE TO BE A PART OF IT! WE HAVE A FEW CATEGORIES OF STANDARD SERVICES, BUT EVERYTHING IS CUSTOMIZABLE AND WE ENJOY WORKING WITH OUR CLIENTS TO ENSURE THAT EVERY DETAIL IS JUST RIGHT. 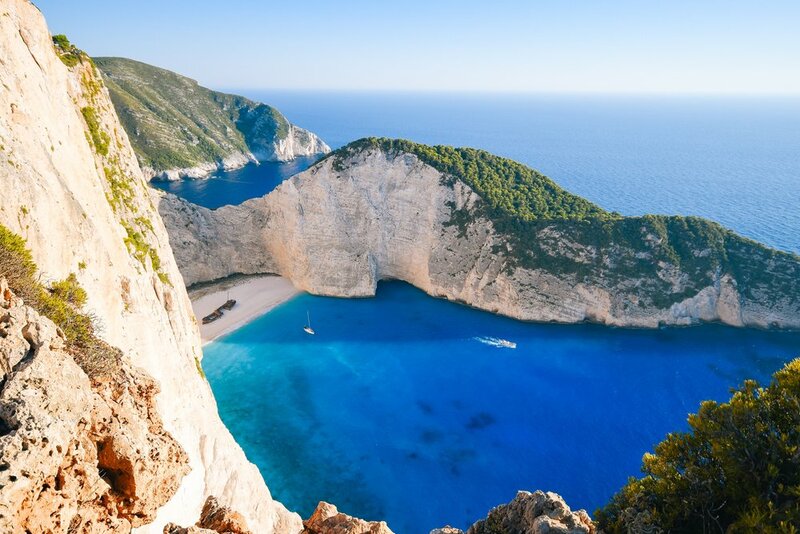 Want to sail the islands of Greece, Italy, France, Croatia, the Caribbean or the South Pacific? Let's Go! Sail as a couple or gather together family and friends--we will custom tailor a trip for you! We like to consider ourselves travel designers, trip consultants, event planners, happiness maximizers and/or fairy godmothers. We will use our expertise and love of travel to design a custom day-by-day itinerary based on your wishes and preferences that starts when you land at your destination and ends with your departure for home. We also pride ourselves on personally scouting unique accommodations, restaurants, and experiences whenever possible. To create truly unique and personalized experiences for our clients, we charge an upfront design fee based on the complexity and duration of each adventure or event. We find that this pricing structure allows us the most creative freedom from start to finish. For instance, we want to discover and book the perfect place for you – be it a 5-star resort, boutique B&B, farmhouse, townhouse, villa, or anywhere else you’d like to call home while traveling. We never want to be hindered by an hourly rate or tied to a vendor because of a commission. In addition to our design fee, our clients are responsible for the actual cost of all hotels, venues, meals, tour guides, vendors, tickets, bookings, activities, rentals, and all other fees and expenses associated with the trip or event. We can work within any overall budget and can often pass savings onto our clients. While you are traveling, we will be on call 24 hours a day. If you need to make last minute changes to your itinerary, want advice on where to shop for something special, or find yourself in some crazy foreign predicament, we are just a phone call (or email) away. As experienced tour managers, we are also available to accompany your family or group on any portion of your adventure to whip up magic on the fly, sweet talk the antique dealer into a better price, take the kids for a scavenger hunt, jump start dinner parties, host a wine tasting, or show you our secret shopping spots. Let us know if you’d like to hear more about this service. We love to start off with a 30 minute call via phone or Skype. This initial call is always complimentary and a great way to make sure that you’ll enjoy working with us. We are also email pros and if you prefer a written exchange, no problem, we type fast. We will then put together a proposal that includes our design fee.